Hopes that the Bank of England could unleash a new round of quantitative easing to rescue the ailing economy were boosted on Thursday when a member of its monetary policy committee said there was “undoubtedly scope” to restart the recession-busting policy if necessary. 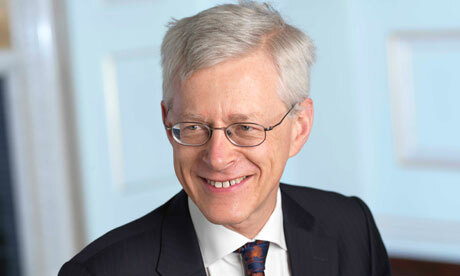 Martin Weale, who until this month was advocating an increase in interest rates, showed how far his thinking had moved by arguing that the Bank could return to so-called QE if oil prices continued to fall and the sovereign debt crisis in the eurozone worsened. The Bank has already bought £200bn of assets, mainly government bonds, using electronically created funds to inject money into the economy and drive down interest rates. US economist Adam Posen, who also sits on the MPC, has repeatedly voted for a £50bn extension to the programme to prevent the UK sliding into a Japanese-style slump, but has so far not persuaded any of his fellow members to join him. Weale’s intervention came as financial markets focused their attention on the remote Jackson Hole resort in the mountains of Wyoming, where Federal Reserve chairman Ben Bernanke will deliver a key speech on Friday that could signal a return to quantitative easing in the US. With evidence mounting that the recovery in the US has halted, Bernanke is under intense pressure to show that the Fed, which has already undertaken two rounds of QE, has not run out of ammunition to prevent the world’s largest economy sliding into a double-dip recession. Analysts warned that the mood of fear could return to markets on both side of the Atlantic if the Fed chairman failed to convince investors. “If Bernanke doesn’t deliver, then we would expect risk asset pricing to adopt a more downbeat sentiment once again as we head into the weekend,” said Simon Ballard, of RBC Capital Markets. However, Bernanke took the radical step earlier this month of promising that rates would remain low at 2013, so new measures could smack of panic. There have also been questions about the effectiveness of quantitative easing, with some economists arguing that it drives up asset prices and boosts inflation without benefiting jobs and growth. But Weale defended the policy. He insisted that although government bond yields, which help to determine interest rates across the economy, are already at historic lows on short-term borrowing, the Bank could use a new round of QE to target longer-term bonds, helping to push down long-term interest rates, and increase the price of other assets such as shares. “The resulting capital gains will provide support to consumption and a general reduction in the term structure of interest rates is likely to lead to knock-on capital gains on other assets, which will provide further support to consumer spending,” he said. His defence of the benefits of quantitative easing echoed Sir Mervyn King’s insistence at his recent inflation report press briefing that the Bank still had scope left to cope with a further deterioration in the economic outlook. Weale’s comments came as City economist Simon Ward, of fund manager Henderson, urged the Treasury to take advantage of high bond prices to book a £30bn profit on the £200bn of assets bought in the first round of quantitative easing. The asset purchase facility (APF), which holds the assets – almost all government bonds – pays the Bank of England the base rate of 0.5% on the £200bn used to purchase the gilts, but is receiving higher rates of interest from the Treasury. It has also made a capital gain as the price of gilts has risen in recent months. Ward urged the chancellor, George Osborne, to crystallise that gain by cancelling the gilts and instead taking on the APF’s loan from the Bank, with its much lower interest rate. Weale said the decline in oil prices since the latest bout of market chaos had been a “silver lining” in recent weeks. “They could point to inflation lower than I had feared next year and to a substantially reduced risk of the sort of second-round effects on wages, which have so concerned me over the last few months,” he said.